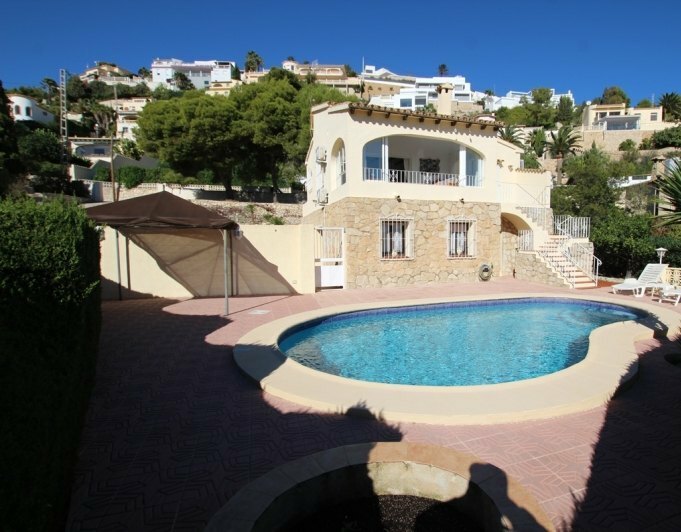 Lovely villa full of character and charm and set in a great location with spectacular views across to Moraira town. The property has many special features including ancient wooden doors acquired especially to add character throughout. There is a private pool, pond and a fantastic chill out area with bar and plenty of entertainment space. To the other side of the villa there is a studio apartment with a bedroom and shower, suitable for guests or as an office.The villa itself is on one level and has 3 bedrooms leading from the lounge and from the modern kitchen there is a large master bedroom with ensuite and a door leading out to the back garden. From here there is a lovely casita which is currently used as a washing room.The villa has a pellet burner in the lounge with full central heating, air conditioning, solar panels and double glazed windows. 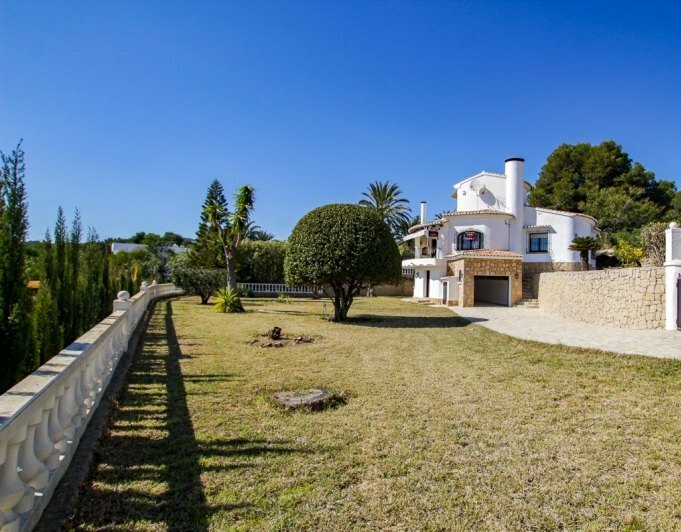 This immaculately kept villa is set on a large flat plot within a residential area with street lighting very near to Moraira town center and its sandy beaches. The plot benefits of 2 sides access, from one an electronic sliding gate leads to the ample car port and spacious garage, on the other side we have a pedestrian gate which leads from the parking area to the main entrance door of the property only a few steps up, from here we acess via a security door into a spacious and bright open plan living area consisting off, entrance hall, open plan living/dining room with patio doors out to the open porche area and a semiopen plan kitchen connected with the dining area. From the entrance, a hall way lead to the double guest bedroom, family bathroom and large master bedroom with ensuite bathroom and dressing room.Separately downstairs we have a spacious sitting room/bedroom with kitchenette area, one bedroom, and a bathroom. Outdoors we find a nice kidney shaped private pool surrounded by a big terrace to relax and enjoy the mediterranean weather benefiting of panoramic mountain and valley views.The property boasts gas central heating, airconditioning hot and cold, double glazing throughout, garage + carport, electronic gates, beautiful views and good location. 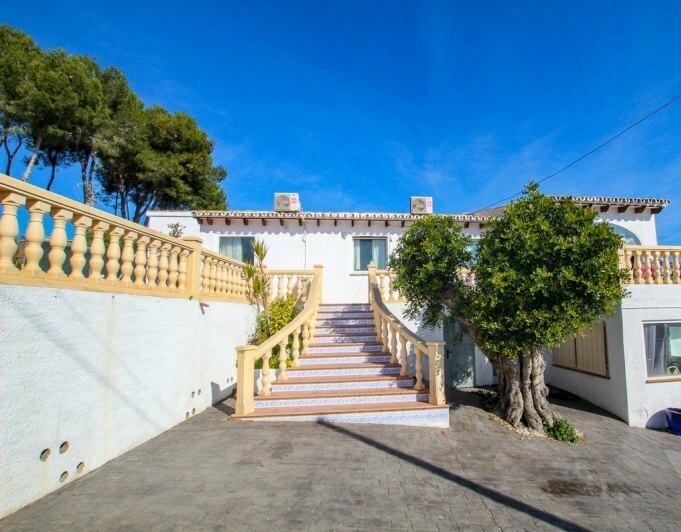 This large property is set on a spacious plot within approximately 15 minutes walk to the heart of Moraira, with access from two different streets this property offers possibility of access without practically any stairs.From the main entrance gate we find an ample parking area for approximately 45 cars, a few stairs lead up to the main entrance of the property which leads through the the ample formal dining room with sitting area and all connected to the open plan fully reformed kitchen, from here a wide hall way gives access to 2 large double bedrooms both with ensuite shower rooms and 2 steps lower a big round shape living room with patio doors out to the pool area. From the living room we have access to a guest cloakroom, utility area and also to the staircase which leads up to the big master suite with dressing area and ensuite bathroom.Outdoors we find an ample terrace with a private 8 x 4 m kidney shaped pool with gorgeous mountain views, a covered seating area and a fully equipped summer kitchen.The property boasts gas central heating, airconditioning hot and cold, double glazing, security doors, beautiful mature gardens and beautiful views. 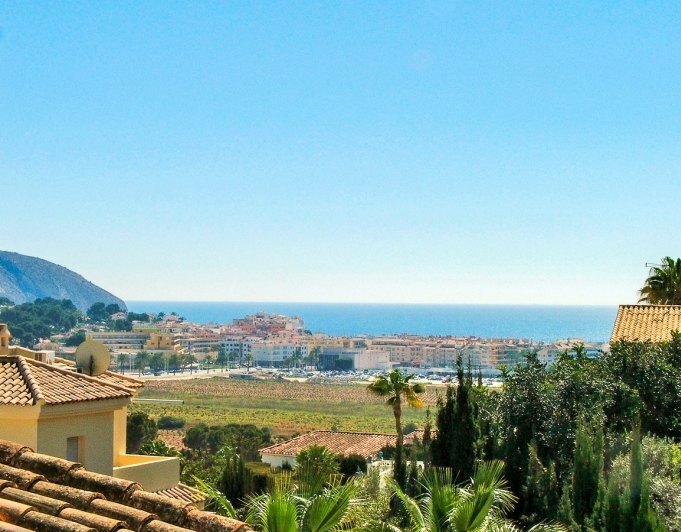 Villa with fantastic sea views within walking distance to the town centre.The villa has a modern fully equipped open plan kitchen, a loungedining area with access to the garden, four bedrooms all with builtin wardrobes and three bathrooms. The exterior has a large terrace and garden area with a BBQ and a private swimming pool. 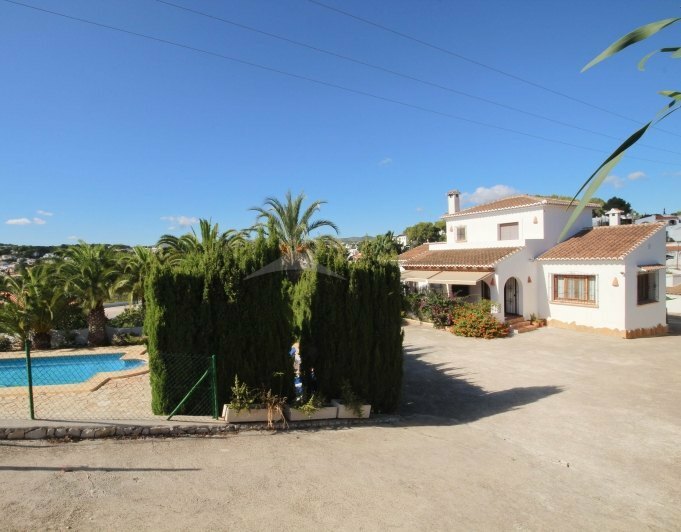 This property is located on a plot of 1200m 2.It is a villa divided into two floors.The ground floor is intended for a guest apartment, with two bedrooms, a bathroom, living/dining room and a fully equipped kitchen.On the top floor we find the main house, with four bedrooms and a large living/dining room. On the outside is the swimming pool and the barbecue.It has a well with water that is currently used to water fruit trees. This is a great investment opportunity. 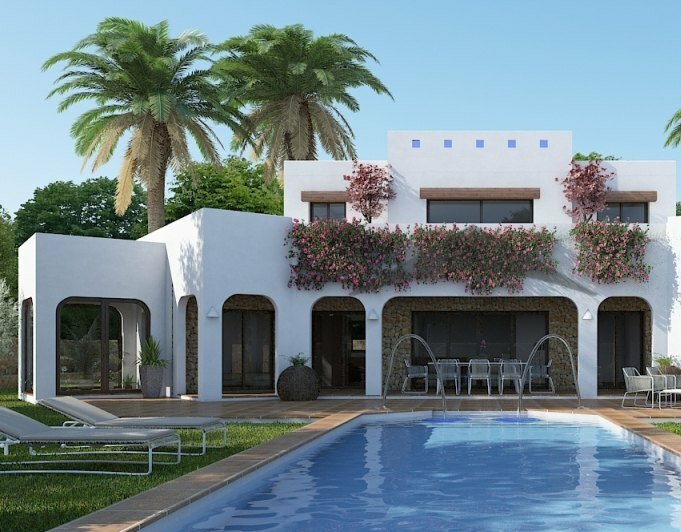 The villa is located in the sought after area of Sol Park, just a stone throw away from the newly renovated tennis club and restaurant. Situated on a large south facing flat plot with magnificent sea views. On the ground level there is a large storage room and utility room with a very spacious garage. The villa has a large outside area with plenty of space for a swimming pool. This is in need of a reform but can be made into a superb villa. 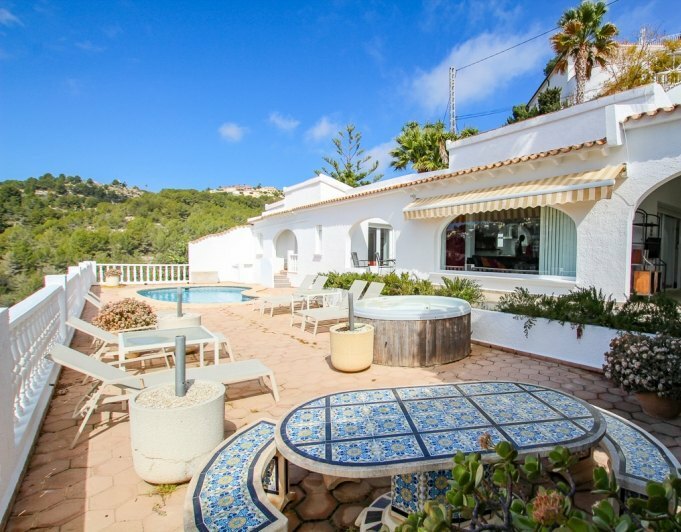 An immaculate sea view villa located in the area of Moraira, Pinar del Abogat, a short walk to Moraira centre and beaches. This bright property is divided over two levels and has an extra attic room reachable via an pulldown staircase. The villa consists of a gated entrance to the front door on the main level with a spacious living and dining area with big windows to enjoy the stunning views and via sliding doors to step out on the terrace with a staircase to the pool area.Also on this level is a very large separate kitchen, guest toilet, master bedroom with an ensuite bathroom and a walkin dressing area. The lower level consists of three more spacious double bedrooms, all with ensuite bathrooms, a storage room and a garage for 1 car. Outside is a nice, easy to maintain garden, a very private sun terrace and pool, summer kitchen and several seating areas around the villa.This villa has UPVC double glazed windows with mosquito nets and roller blinds, low energy electric underfloor heating on the main level, aircon H/C in all rooms, indoor staircase to the lower level, automatic entrance gate for cars and garage door, extra attic room with terrace.The sea views are lovely, this villa must be seen to be appreciated. 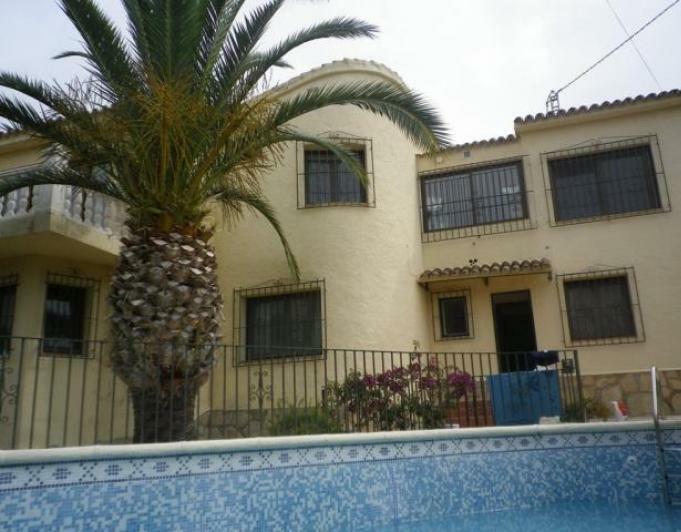 Villa located in the urbanization of Pla del Mar. It consists of a 1000 m 2 plot, with 175 m 2 construction, distributed in kitchen, dining room, four bedrooms and three bathrooms.To be built in the 1960s, it needs reform. With possibility of extending offers of a garden with possibility to build a swimming pool. Villa for sale with sea views Villa for sale with sea views located in Baladrar. The villa has a stunning pool area with large outdoor kitchen to enjoy the healthy lifestyle. 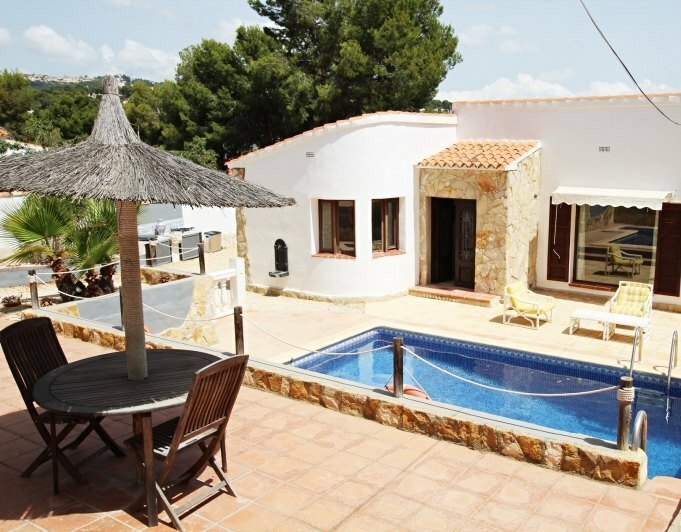 The villa is currently used as a rental business and this can be continued or be as to family home. The villa has two separate living areas with an internal stairway linking them together. There are 5 ensuite bedrooms and 2 kitchens and 2 lounges. There are two entrances to the villa with car parking for several cars. 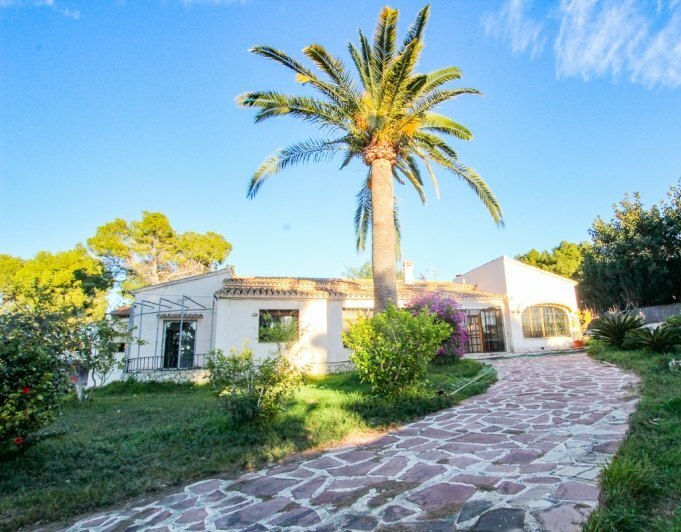 The villa has panoramic sea view and is south facing to take in all day sun. Area Guide Moraira is a small coastal fishing village. Full of charm and tranquillity. Two beautiful sandy beaches. Impressive marina. Conveniently located between Alicante and Valencia airports. Wonderful place to live with all year round sunshine. Average temperature is 20 degrees centigrade with 325 days of sunshine. Moraira is very popular with visitors from all over Europe. The micro climate and beauty of the area is hard to beat. Full of English charm. Close by are other pretty towns, along the coast or inland. The country side is stunning with vineyards, almond and orange trees. The village boasts many top quality restaurants and charming shops to explore. Value for money is amazing. Fabulous area for sporting facilities. All water sports, tennis, paddle tennis, football, golf, cycling, horse riding, walking and climbing. There are many walking clubs with fantastic walks. A great way to find out about the area and take in the views. 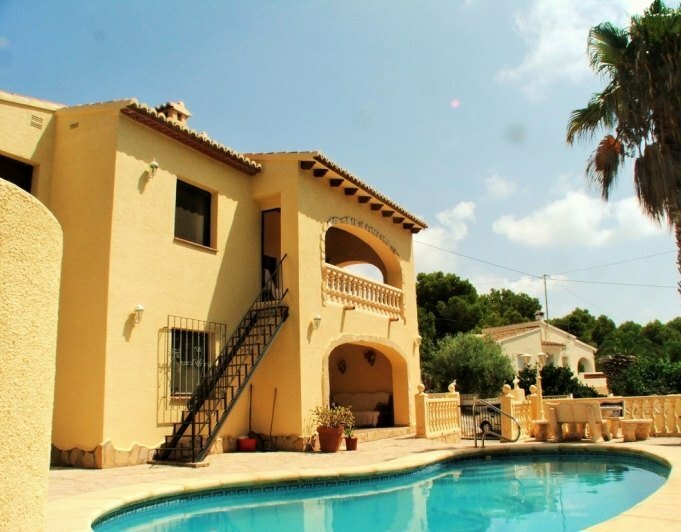 Moraira has villas and apartments for sale. Good schools in the area, both local and international plus excellent health care facilities. Fantastic place for holidays or for permanent living. Click here to view pictures of the local beaches. Please contact us if you have any question on property, the area or general questions regarding Moraira and living in Spain. 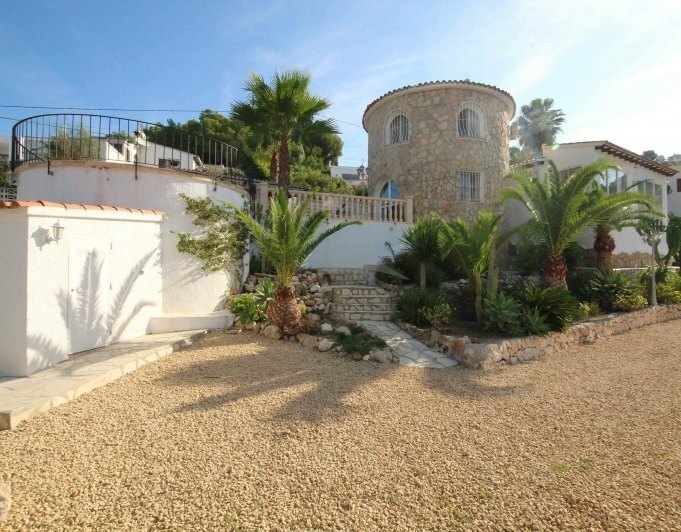 This big Villa is located within the area of Montemar, due to it's elevated position, it benefits of beautiful sea views. Accomodation is divided in two levels, on the first floor we have 2 double bedrooms, 2 bathrooms (1 ensuite), large fully equipped new kitchen with dining área and a cozy living room with fireplace, on the bottom floor the property boosts another 4 double bedrooms and 2 more bathrooms. From this level there is access to the steps that lead down to the pool área with a private 8 x 4 rectangular pool. The property also benefits of double glazing throughout, gas central heating, airconditioning hot and cold, off road parking for 2 cars and beautiful sea views. 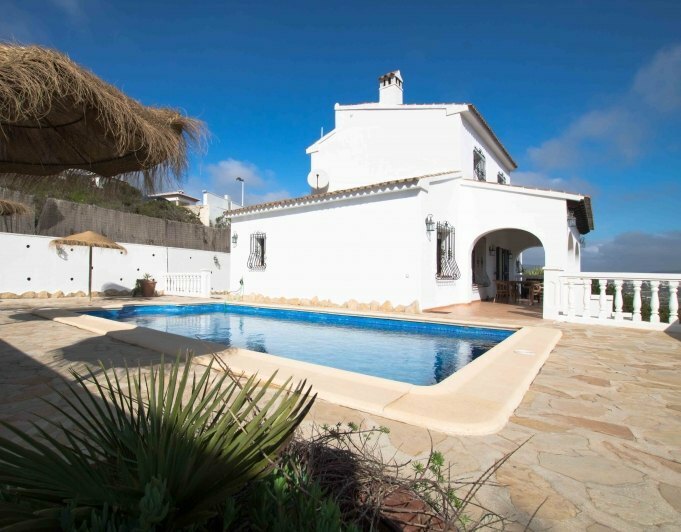 This traditional style villa is located just outside Moraira town center, approximately 10 minutes flat walk into the heart of Moraira. Access into the plot is via the wooden electronic gates which lead through the driveway to the entrance of the property or to the extremely large garage internally connected to the property. All accomodation is set over 2 levels comprising a ground floor with spacious open plan living/dining room, separate fully equipped kitchen, 3 large double bedrooms with fitted wardrobes, 2 bathrooms (1 ensuite) and access to the garage.On the upper level we find the spacious master bedroom with fitted wardrobes, ensuite bathroom and private terrace.Outdoors we have a large pool area with a very big terrace, BBQ area, covered seating area and a large 10x5 m rectangular pool with roman steps.Additionally this property offers the possibility of purchasing a plot of land next door with additional 800m2 for 175.000€.The property boasts gas central heating, airconditioning hot and cold, integral garage, large pool area and really close location to town.